Sporting Chance host the ever-popular Holiday Sports Camps at Mangotsfield C of E Primary School. We offer a week of multi-sports mayhem each school holiday! The children can access a vast range of sports and activities with us. The focus is on having fun, learning new skills, and competing in daily competitions. We always recognise commitment and success with 'star of the day' prizes, medals, and trophies! 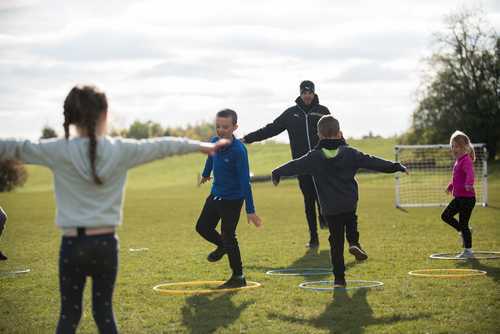 There is a feast of fun activities on offer for children aged 5-12 years, including; team building activities, football, tag-rugby, tennis, dodgeball, ultimate frisbee, kwik-cricket, hockey, lacrosse, athletics, rounders, basketball, and more! We welcome childrenfrom 10am-3pm including 4 hours of structured sports coaching and an hours at lunch time. There are options to attend half a day, a full day, or every day with us! From £15.00 per day with additional special offers for multi-day and sibling bookings! Don't forget to check our Facebook page for all of the latest updates on the Holiday Sports Camps!